To give a new life to an old building. Exhibition “in the nature”, flexibility and versatility. The project is going to be the cultural center of Zhengzhou, Henan province, China. The existing buildings will be reconstructed completely both inside and outside. The complex will include the following functional zones: multi functional exhibition hall, conference hall, multimedia presentation hall, library, cafeteria, trade zone /shops/, relax zone, administrative area and technical facilities, storage zone, square and areas for outdoor exhibitions. 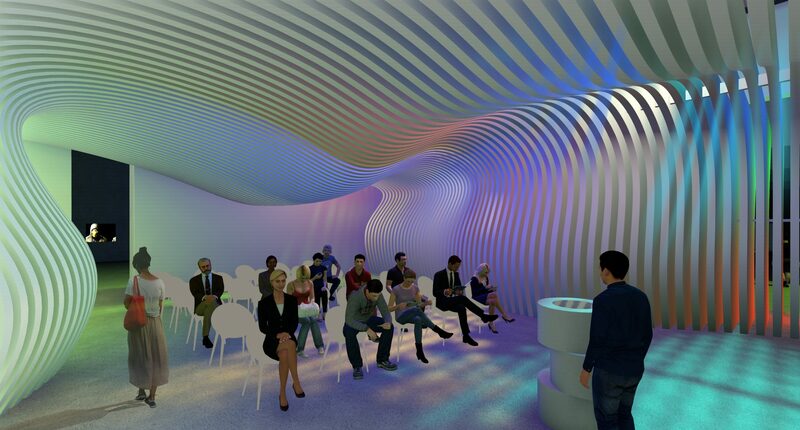 The multifunctional exhibition hall will be used for different types of exhibitions. 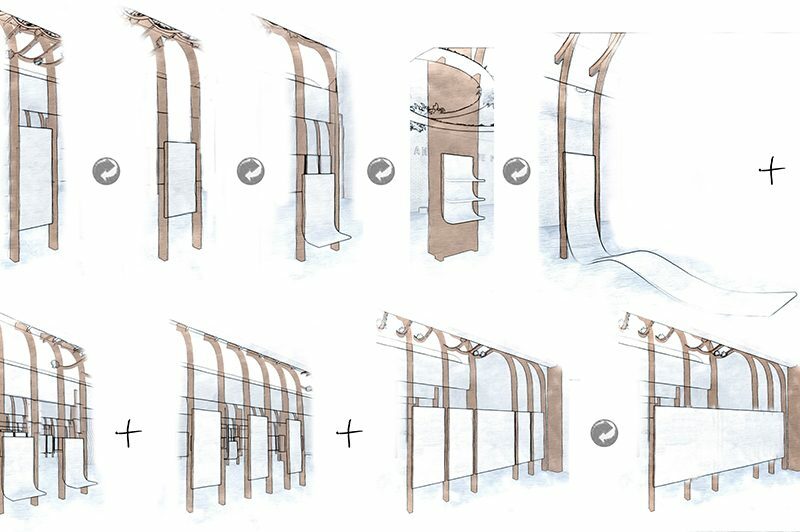 For this purpose, it is designed in a way it can be changed /depending on the type of the exhibition/. 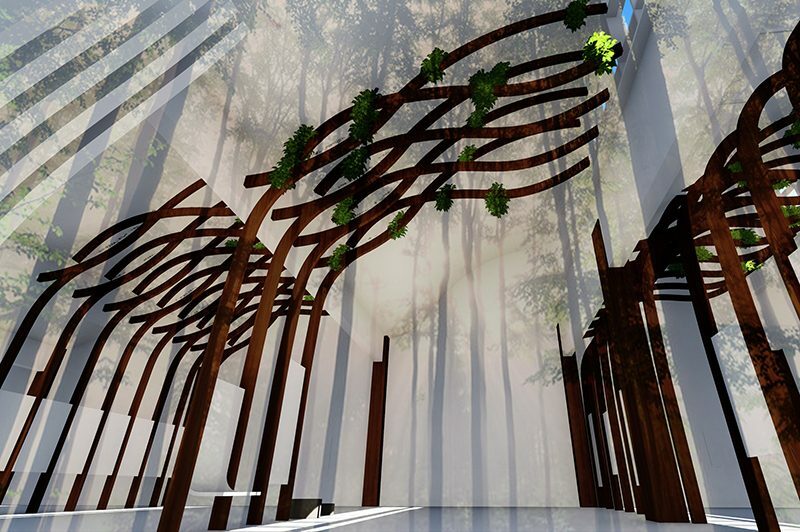 The hall is designed of two main elements – wooden constructions, resembling a forest and white sculptural elements – between the “forest trees”. Wooden structures can be moved depending on the exhibition. The white sculptural elements are two types. The first one is the basis for placing the exhibition boards. The other type is a multipurpose “hall in the hall”, where local exhibitions, conferences, and other events and presentations are going to take place. The design of the square in front of the building is in the same style like the interior of the building. Here the “trees” /same design like inside/ are used for street lighting. The facades will be reconstructed completely, while retaining the basic geometry of the central volume. There is also partial “wrapping” of some volumes with white sculptural surfaces using the same style like in the interior /the material is “Corian” by “Dupont”/, thus creating harmony between interior and exterior. Some of the buildings are completely “wrapped” with dark metal, while the facades of others will be filled with architectural concrete. Some of the facades will be landscaped with a system of green walls.